The Coach Ringwood created this eye-catching design for the glass dividers that separate the smoker’s and outdoor sitting areas. 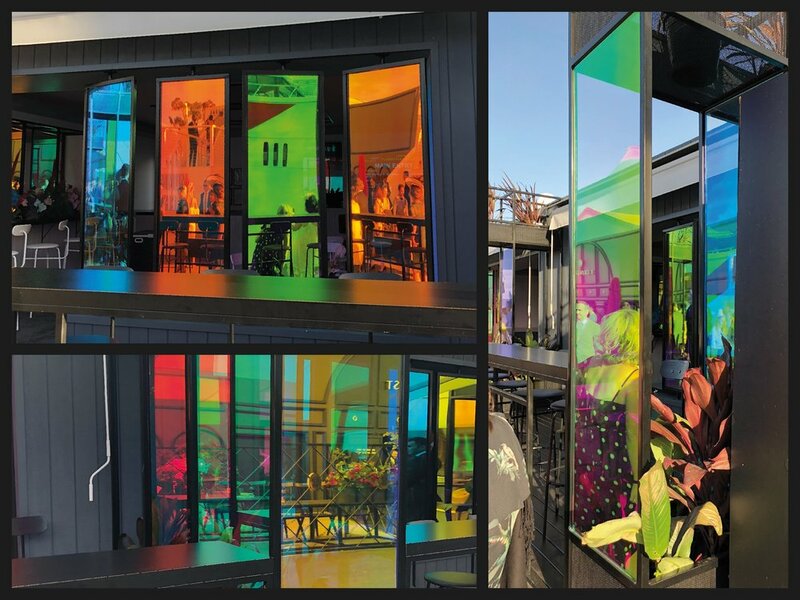 By using Tint Design’s Precision Cutting service a number of ‘coach wheels’ scaled at different sizes, were cut out of frost film resulting in an eye-catching look to the outdoor area with maximum decorative impact. 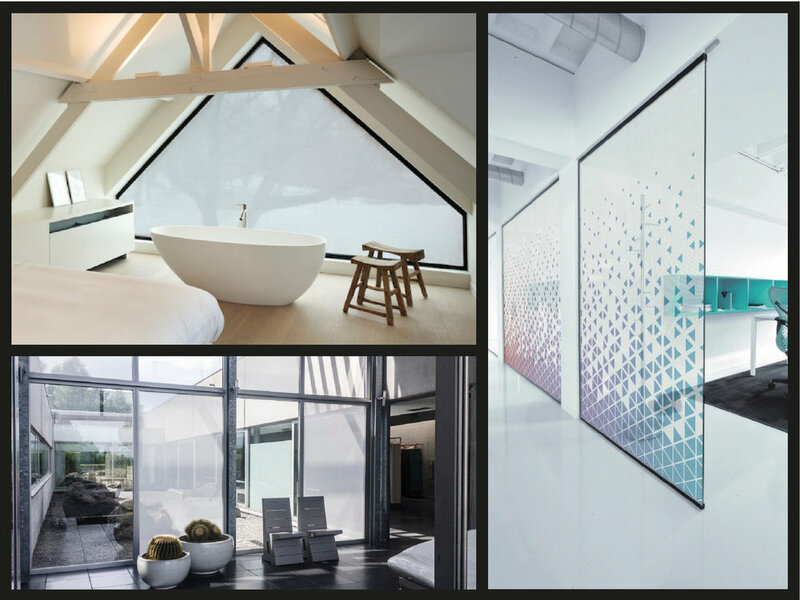 The simplicity of precision cutting out of film can have a striking effect and Tint Design offer a large range of films that can be for used for any precision cut projects. Precision cut designs can be installed on a variety of surfaces such as plaster walls and glass. Combined with our Vision Effex digital printing service you can have a great feature for any decorative solution. The large variety of applications that precision cut can be used for results in a design that succeeds in any fitout, to learn more about our precision cut service click here. One of our latest designs was a statement feature at this months Equinox exhibitions in both Sydney and Melbourne. 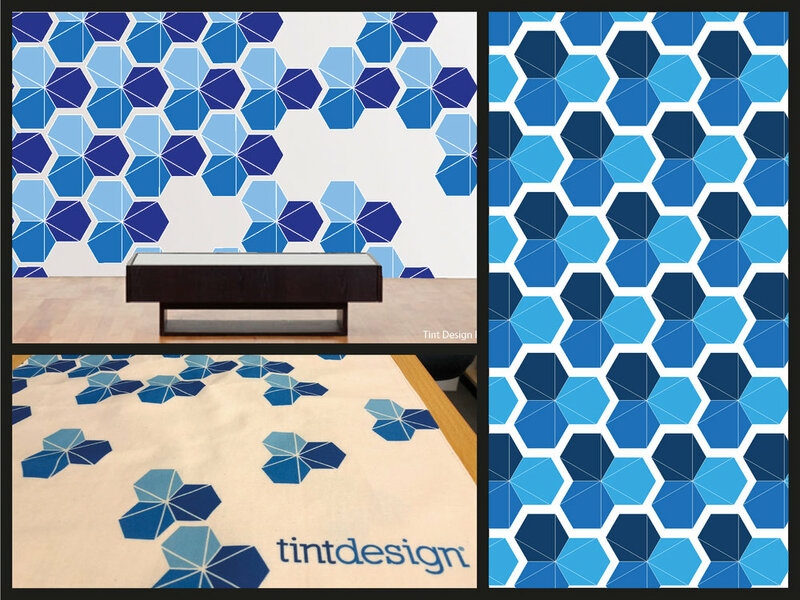 Not only did we heavily feature this design on our stand, we also had it printed on our complimentary calico show bags which were hugely popular and a great hit! The Trihelix design was featured as a way of soft launching Tint Design’s first official range of decorative Braille signs. This design is the first of our Braille Sign Range and we are looking forward to the official release very soon. Our Design Team are enjoying coming up with new designs for your use. Please feel free to check out our Design Range or even more designs on our Pinterest page and let us know what you think! 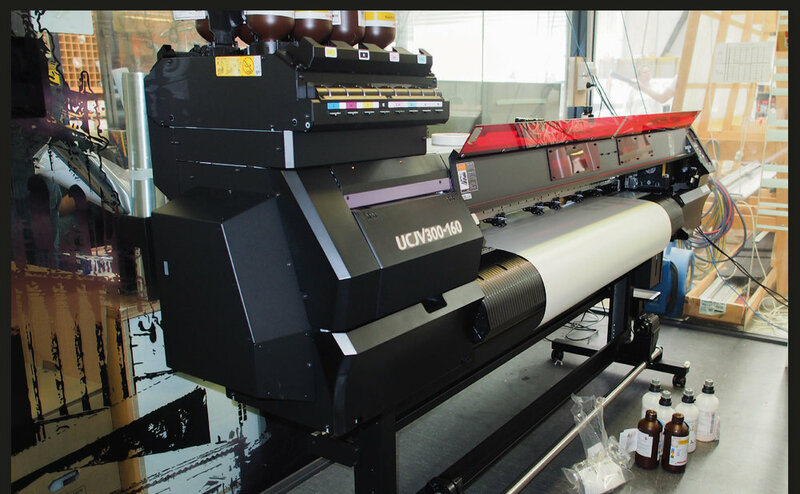 While our current range of printer are still going strong, we are aware that to stay ahead we need to keep not only improving the quality of our products, but also stay up to date with new technology to increase our printing capabilities and product range. Over the years we have brought you white printing, fade effects, printing onto a wide range of substrates such as acoustic board, composite panel and wood, printing and cut out designs and lately, tactile designs and Signage. We’ve been noticing a lot of Designs lately including foliage, so, we’ve come up with one of our own. Our ‘Creeper Leaves’ design has been released onto Pinterest along with a couple of other new designs, ‘Monstera’ and ‘Foliage’, which have also been inspired by the ‘leafy’ trend. We find these types of designs quite versatile and classic, being able to blend nicely within a fitout without the risk of dating too quickly. There are so many design possibilities within this genre and therefore, if one of ours isn’t what you’re after, our design team are happy to work with you to develop the look you desire.